Welcome to our online store, where we believe our products should reflect the same high quality work that we make in the studio. Now you can be a part of what makes these projects come to life. 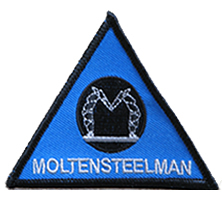 By purchasing our cool stuff, you help us to build, maintain and operate Moltensteelman creations. We want you to be happy with our cool stuff and we appreciate your feedback and ideas for products you’d like to see here. More items are on the way so check back soon. Thank you for your support! All of our stickers are manufacutered from high quality, durable, long lasting, weatherproof, fade resistant, premium vinyl material. You can purchase any combination of three stickers for $5.00. 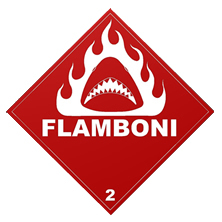 Example, you may want two Flamboni stickers and one Moltensteelman stickers, or two Moltensteelman stickers and one Flamboni sticker, just use the drop down feature on the "Buy Now" button. $1.00 shipping and handling per order. Domestic US orders only. Please allow about 2 weeks for delivery of your order. We ship all orders one day a week and they are typically sent out on Monday or Tuesday. Thank you for your support!